NTSC bodies are unlimited (including 4K and all). It is both NTSC and PAL bodies, PAL do not have 30min limits in AVCHD only. Great news. Never liked GH3/4 bulky body and price tag. I don't need v-log and other pro bells and whistles, all I need is just G6 with 4K. Assumed that they're not going to implement time limit like they did for lx100 - this means instant no-buy for me. Please, Pana, if you ever read this. Make AE/AF lock work while recording video. It's really odd for a company that promotes their cameras as video friendly and does implement quite advanced video features to still lack very BASIC VIDEO FUNCTIONALITY that any other brand has. Canon, Nikon, Sony, Olympus - all have this. Time to make up, Panasonic! MF+AF mode to work either way independently, not by half-pressing shutter button. The way it works now is inconvenient for shooting video because one risks pushing the shutter button to hard and stopping recording accidentally. Make it Oly-style: either half press or manual ring pulling works any time. Allow shutter speed up to 1/25 (PAL-region) in video P mode. What's the benefit of having better sensor and still being limited to 1/50 which is 1 stop behind its true capabilities in low light? Or allow user to select "slow shutter" option via menu like your camcorders do. ...what's your source ? I did a cursory google and there was nothing new. Why wouldn't they have 4k/24p ? Also, 4k @ 100Mbit is like 1080p at 25Mbit, right? Seems pretty low? @joethepro As of today all Panasonic cameras that support 4K have 100mbit codec. Personally, I'd rather welcome a more efficient codec, something like H.265 @ 50 Mbit. Or even just a low-fi version of H.264. 100Mbit is such a resource gobbler! It requires expensive fast cards, takes lots of space ~75min eats up a 64Gb card - not even enough for a typical concert, it cannot be used without proxy in multicam projects. 4K is about extra resolution, but proxy kills it, you can't see the details while editing. Too many problems already. Nice. And weird at the same time. 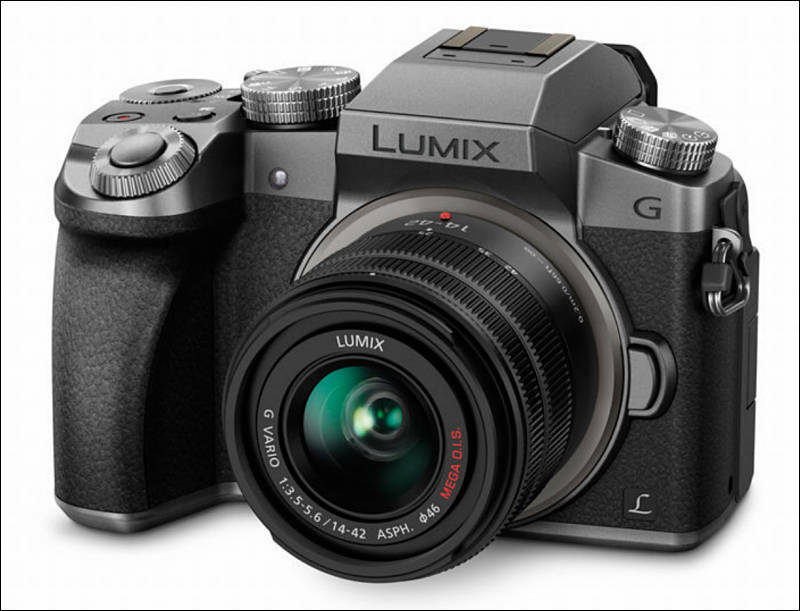 Sales of the G6 were poor, why do Panasonic produce another semi-professional camera for poor? I've been whinging constantly for a G7 on the forums so if this pans (no pun intended) out I will be ecstatic. The G6 is a great cam but shooting the older sensor at high ISO is not much fun. Getting the latest sensor would be a breath of fresh air. If Panny could add DFD, that would be the icing on the cake. And probably cause some trouble for the new EM5II, which looks pretty terrific on many counts, including video. If we get DFD, then the G7 should sell like hotcakes. IBIS would be nice too, but I can live without it. Thanks for the great news! But would you rather have a G7 or a Samsung NX500? 43rumors has ft5 rumor the g7 is imminent . It says no revolutionary features which doesn't exactly blendin with V's spec list. I thought "sane"...was safe ? This sounds exactly like VK's rumoured specs. I'd say 100mbit 1080 would be beyond "no new tech" . Whos' done that before on an entry level camera ? ...but we can dream ! Same goes for so "advanced" things as log modes (Sony log2, v-log and such). If not marketing and affiliated experts it will be tough thing to present them with such fanfare. There wasn't a whisper about this from any of my discussions in the Panny booth at NAB, just saying ... and I did ask about a number of things and heard other whispers. Can't comment on the rest (not a lot, couple interesting things though) but I will say there wasn't anything even talked of about this. But then, they weren't talking about camera releases other than those already announced. Best guess? Not "imminent" ... but how many months away moves past imminent into time enough to roll out something new? Don't know. PS: Same sensor GX7. Can by upgrade get 4K with the GX7? Well, first message has it for quite a time. Only strange thing here is EVF that seems too good, but may be they become much cheaper. For run and gun style videographer, DFD technology is very interesting.